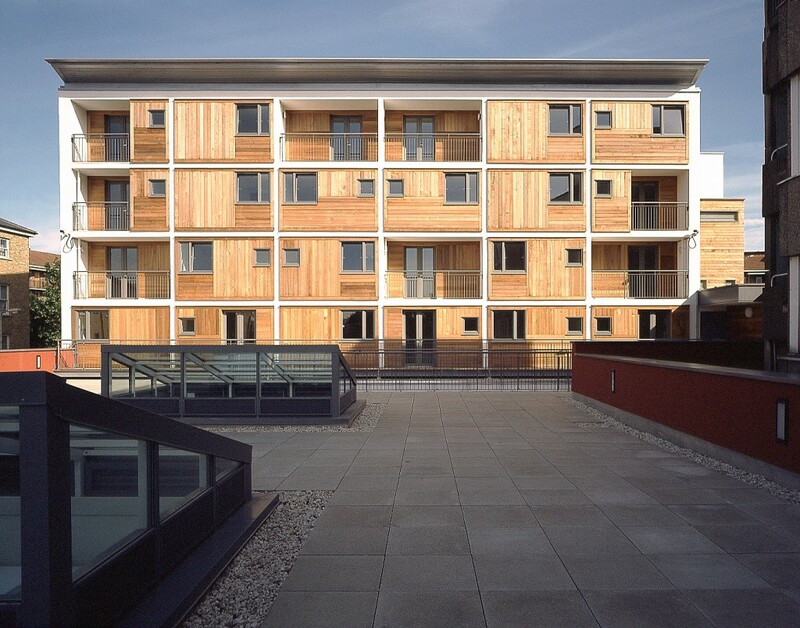 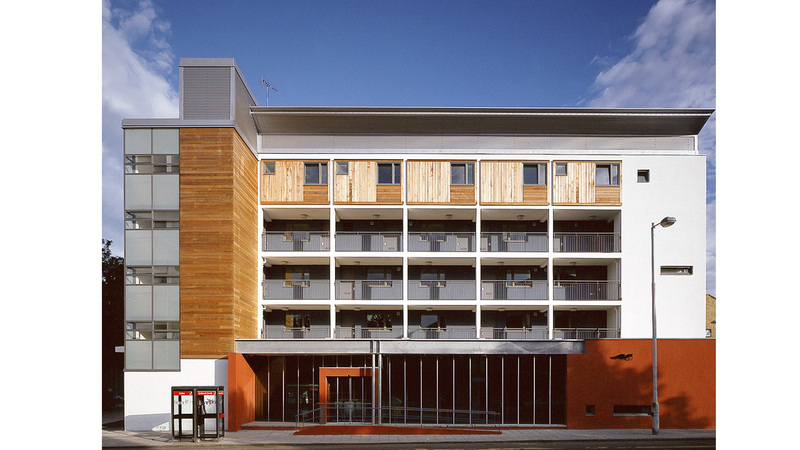 Refurbishment and extension of a 1960s concrete system-built block to provide a 900m2 neighbourhood housing office at ground floor with 12 flats above for people with learning disabilities. 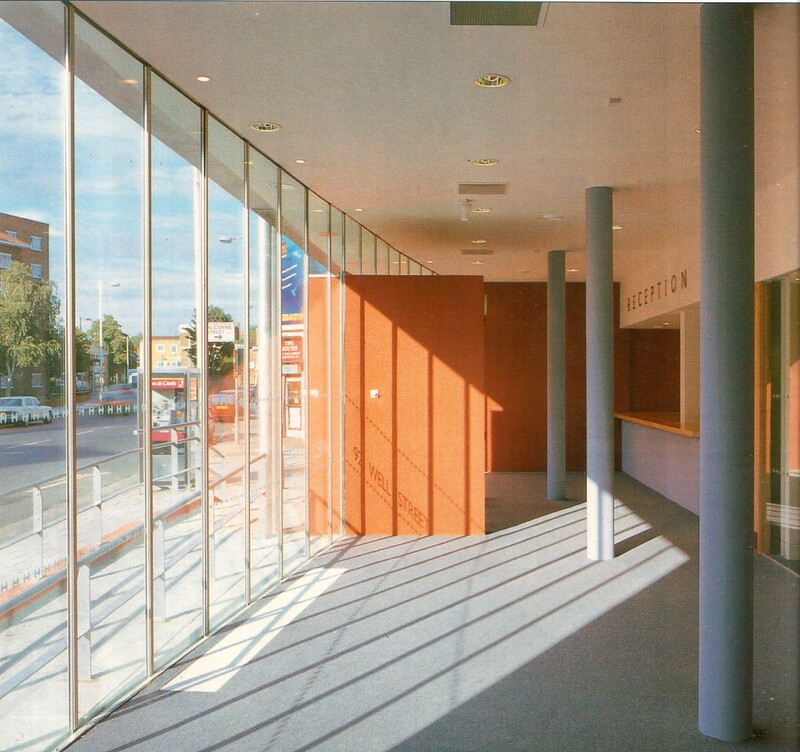 The building was stripped back to the concrete frame structure and completely re-fitted. 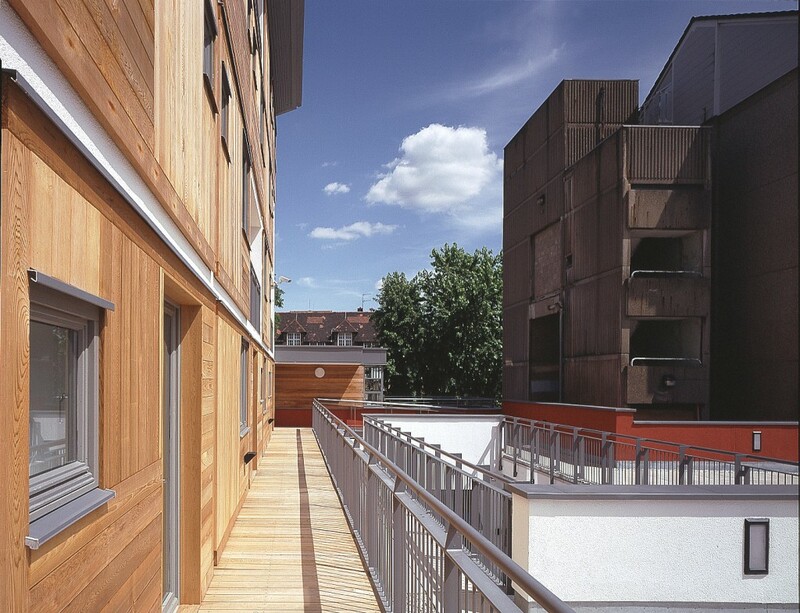 High standards of energy efficiency were achieved using external wall insulation, high performance double-glazed windows and condensing gas boilers.